Adjust your mirrors to reduce the glare from other driver's headlights. • Keep your headlights clean and properly aimed. (On vehicles not equipped with the automatic headlight aiming feature.) 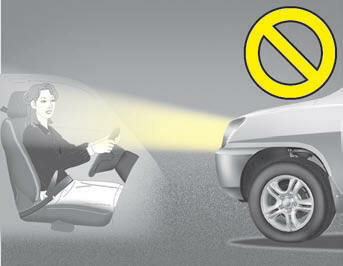 Dirty or improperly aimed headlights will make it much more difficult to see at night.